With MOSY, police officers can spend more time on duty, and less time on administrative tasks. Police officers across the globe face the same issue – they’re laden down with radios, notepads, handcuffs, and security devices. They’re also overly dependent on their colleagues in the command centre. 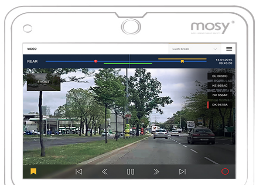 MOSY helps police officers to stay in constant touch while also bringing together numerous tools into one, easy to navigate mobile application.